Let’s be real: You could exercise until you were blue in the face every day (and try just about every fad diet out there) without seeing the results you want. It’s totally unfair and frustrating, but sometimes no matter how dedicated you are to going to the gym or sticking to an eating plan, fat is seriously, annoyingly, stubborn. That’s why lots of people are turning to non-surgical procedures like CoolSculpting in an attempt to blast that extra fat you’ve found impossible to lose. But is CoolSculpting too good to be true? Get the scoop below. I’m so intrigued! But what exactly is CoolSculpting? We’re glad we piqued your interest! 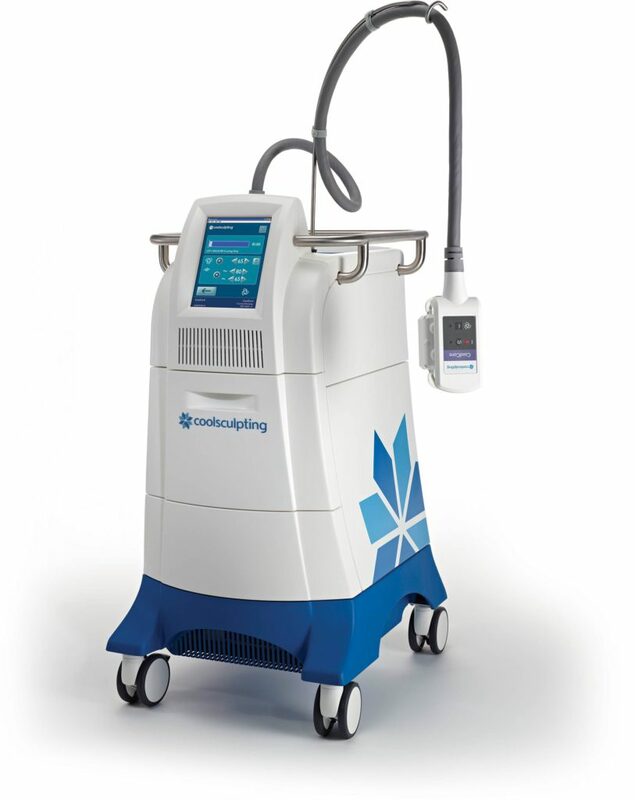 CoolSculpting is an FDA-cleared, non-surgical procedure, performed by a licensed physician. During the treatment, a doctor will use a device featuring patented cooling technology (known as Cryolipolysis) on targeted areas — and this technology is able to freeze and destroy fat cells. One session typically lasts around an hour, and the more sessions you come back for, the more fat cells will be destroyed. Your doctor will be able to help you figure out how many treatments you need for the best results for your body and concerns. What happens to those fat cells, though? Basically, once the cells are frozen using the CoolSculpting device, they’re metabolized (a.k.a. broken down) and eliminated from your body naturally in the weeks after treatment. Theoretically, once the cells are gone, that’s it — they’re not coming back. (See ya never!) The thing is, when you lose fat via exercise or dieting, those cells could rear their ugly heads again, since they’re only being minimized in size, not completely destroyed. So you’re self-conscious of your double chin or some other area of your bod? Well, you’ve got a lot of options here! You can try CoolSculpting on your stomach, love handles, under your neck, your back (the area near your bra), your thighs, and, if you’re a dude, your chest. Sure CoolSculpting sounds great, but obviously you’d like to know if it’s even worth trying. If you have areas of fat that just won’t budge even without diet and exercise and you’re about 15-20 pounds from your goal weight, then you’re likely a good candidate for this fat-killing treatment. What does CoolSculpting feel like? Is it, y’know, cooling? During a CoolSculpting session, your physician will first apply a gel to protect you, then place the device on the treatment area. You’re likely to feel vacuum-like pressure and cold bursts of air. However, keep in mind that some people report more pain than others — it really depends on the area and your pain tolerance. While you have the device on you, you can sit or lie down — whatever works for you! It could take up to two months to see any noticeable results. You should expect to see whatever area you had treated look smoother and more toned over the course of six months post-procedure. 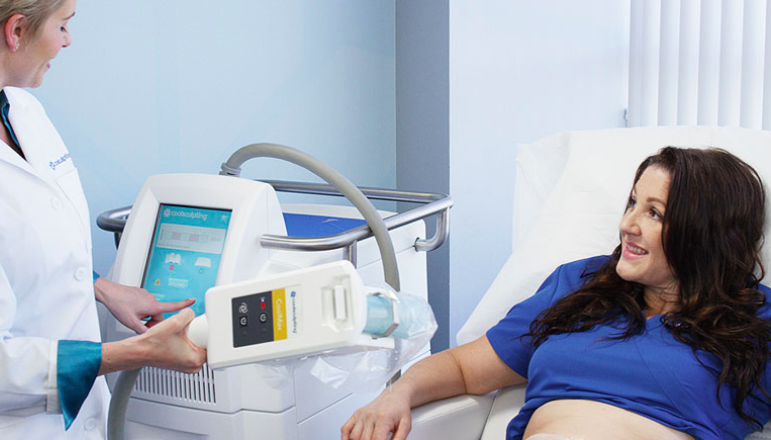 CoolSculpting has a huge database of before & after images on their website. OK, so how is CoolSculpting different than liposuction? While the two might sound similar, liposuction is actually an invasive surgical procedure. 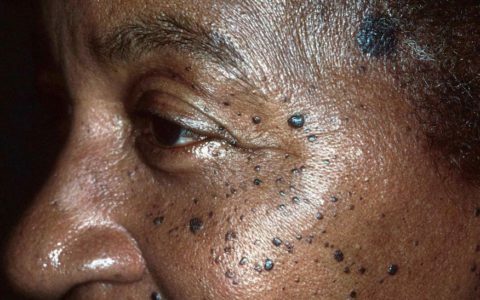 That means in order to get it, you’ll need to be put under local anesthesia by a dermatologist — or put completely under on general anesthesia by a plastic surgeon. During liposuction, a doctor will use tubes to pull fat out of specific areas of your body. Liposuction has immediate results, and little downtime, though you may be out for a few days or a week while you recover from the surgery. On the other hand, while it might take a few weeks to see any results from CoolSculpting, you can go back to doing your thing immediately post-procedure. Whew, you covered a lot! Anything else I should know? It’s important to point out that CoolSculpting does not help patients lose weight — its purpose is to eliminate fat cells, not help you shed pounds. CoolSculpting shouldn’t take the place of a healthy lifestyle, and It’s still a great idea to get your fitness on regularly and load up on good-for-you foods like fruit and veggies daily. Here’s to looking (and feeling) your best! Can SculpSure Melt Your Fat With a Laser? Is there some idea as to what the cost of this is or if it is covered by OHIP? Also is there a listing as to where someone could find a doctor who does this procedure? What about costs per treatment? Obviously it varys from place to place. Do you have an approx. amount? Would it be a problem to have it done if you have a seizure disorder?